Valentine’s Day is on a Sunday this year, which means florists will be swamped, card stores jammed, movie theatres houseful, shopping malls crowded and restaurants overbooked. Take a road less travelled, a different approach. Make your partner feel loved by decorating your space with quirky accessories or upgrading to new furniture. These additions can make your home the most romantic place to be on a Valentine’s Day. 1. The cosy Loveseat: They say three is a crowd, that’s when a loveseat came into vogue, just for the two. An ideal spot for you to cuddle with your partner and watch a flick or two, or have breakfast together. 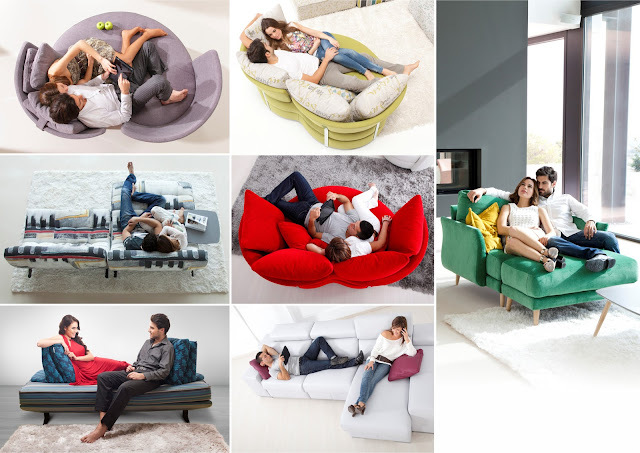 Our loveseat collection includes Fama MyApple, Fama Helsinki, Fama MySoul, NicolettiHome Mood and more. 2. The fun Throw Pillows: You can add throw pillows on your sofa or carpets as they make your space look cosier. 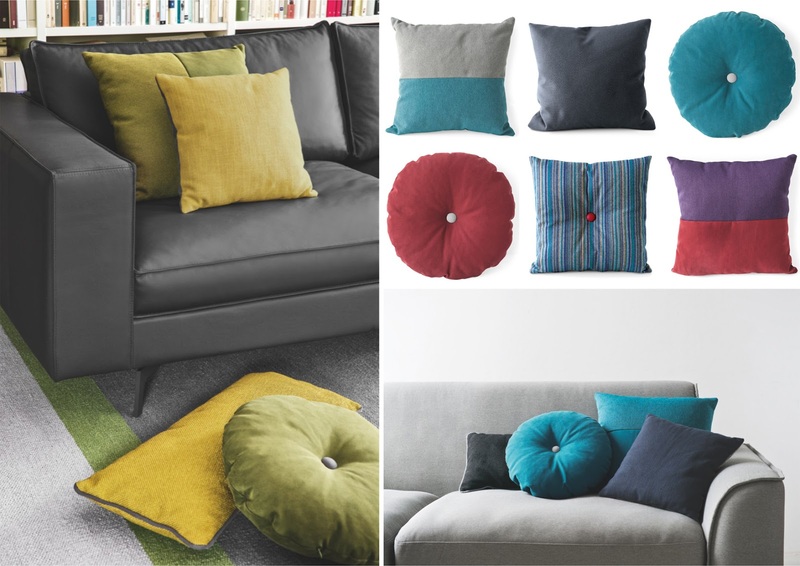 Pillows are not only meant to be lying around on your furniture but can be put to use in various ways like for instance cuddling the pillow while having a conversation or making conversations more fun with a pillow fight. Sounds romantic eh? 3. 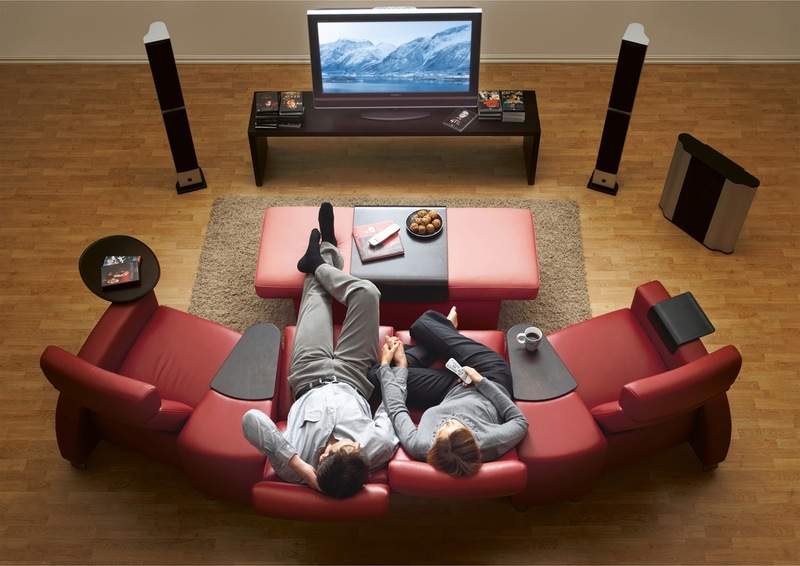 The cinematic Home Theatre Recliners: Why fret about not getting a movie ticket when you can enjoy your favourite movie or a movie you’ve longed to watch on your wide screen. Enjoy a romantic movie and get the cinematic experience at your home. A cup holder, remote holder, popcorn holder and reclining technology make the recliners functional as well as ergonomic. are bonuses along with these home theatre seaters. Explore our Stressless and Becker Home Theatre recliner collection here. 4. The relaxing Massage Chairs: You may think that giving a massage to your partner is a great idea especially on a Valentine’s Day. But the effect might not be the same as that of a masseur or you may feel tired doing it yourself. Massage recliner is a better option for both of you as you will get individual attention without any time constraint and the touch of a masseur. OSIM massage recliners have an intelligent and precise massage system based on the human body contours, combined with a strategically-positioned system of airbags, kneading discs and automatic body detection. Moreover, an effective full-body massage helps you relax well, sleep well, recharge well, harmonise well, and massage well. 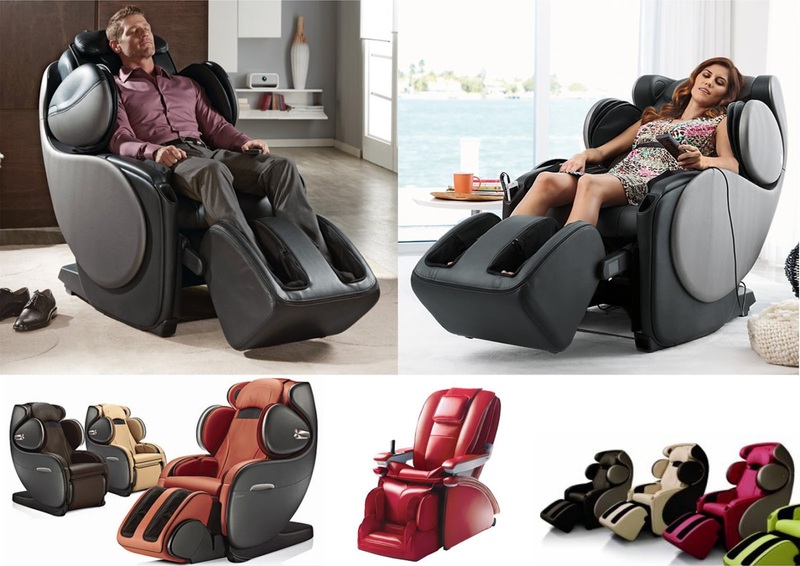 Explore our OSIM massage recliner collection here. 5. The swanky Mattress: Why have beds decorated only for occasions like weddings and honeymoon? Valentine’s Day is also a great opportunity too. Make your partner feel pampered and loved by decorating your bed with pillows, cushions and rose petals and your imagination. And of course, you need a stable mattress that gives you both uninterrupted sleep. Modern mattresses like the renowned Simmons have developed a Pocketed Coil® technology, Beautyrest® Dream Marvel that is truly a dream for that good night's rest. The Do-Not Disturb® benefit minimizes the motion transfer between two sleeping partners as the coils are individually wrapped, thus delivering a higher level of uninterrupted sleep. Take a peek into our mattress collection. 6. There’s something Outdoor: There’s nothing more romantic than sitting together for a tea, listening to the sounds of the city, the nature, feeling the cool breeze, trees and talking about how the other defines. 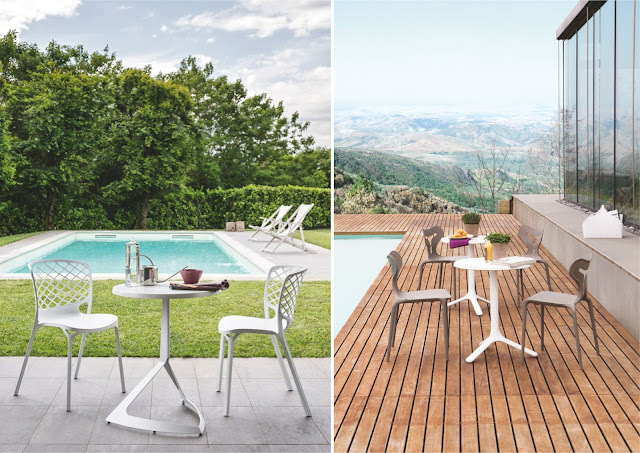 Calligaris has a wide range of chairs and tables suitable for outdoors. To know more about our collection click here. 7. Dinner by Candlelight: These never go out of fashion. Candlelight dinner makes your evenings even more special and romantic. It brightens your mood and stirs up an endless conversation reminiscent of your old memories together. These candle lights provide a classic retro look. 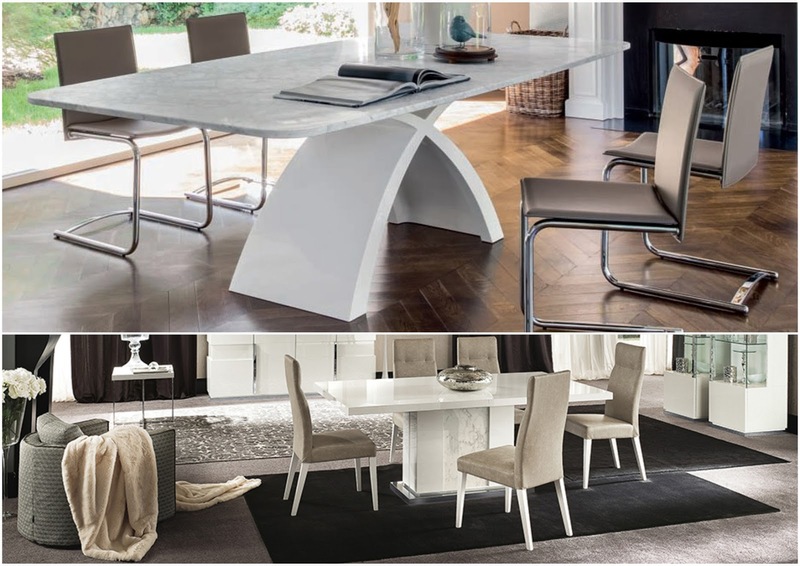 Besides we have an extensive range of dining tables and chairs that compliment whichever setting you desire. 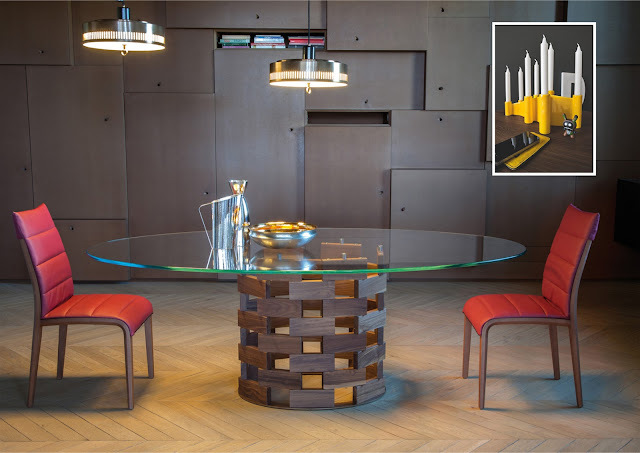 Think of a Calligaris Cathedral candlestick sitting on a Tonin Casa Colosseo dining table. A perfect setting for a romantic date-like dinner. Explore our dining collection here. 8. Glassware, Trays, Bottlerack: Special occasion calls for a drink. Glassware is handy when you want to have a drink together. 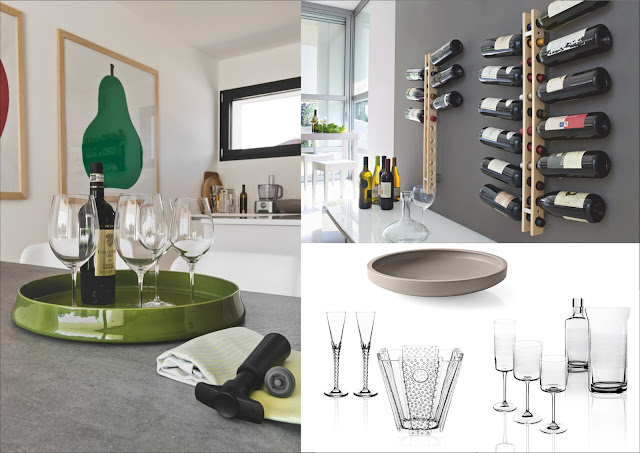 Whether it’s a wine or champagne, Mario Cioni has a wide collection of glasswares, for example Mozart glass wine comes in different shapes of stemware with a stone engraving. To rest your bottles and glasses, or preventing accidents, we have trays that will fit a bottle and two glasses perfect for the couple. 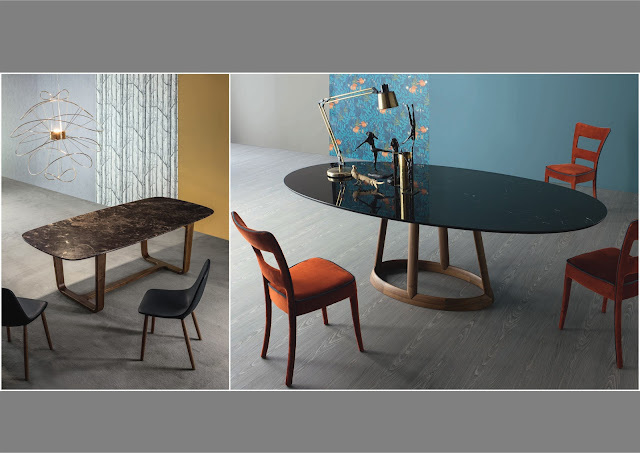 Calligaris Damian is one such piece. Calligaris Arsenal Bottleracks is another space saving accessory. Store all your rare collection of favourite wines and drinks in it. Easy storage and easy for you to pick whenever you wish to have a drink or two together. Check out our accessories. 9. Lamps and centrepieces. Lamps can be used to give a filter to your living space or bedrooms, making it look appealing and cosy. Lighting affects your mood and state of mind. The more it is diffused, the more of inviting and comfortable your room looks. 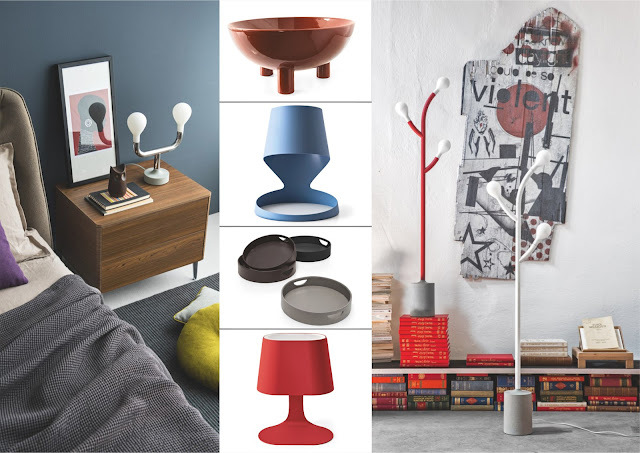 For instance, Bonaldo XXLight, Bonaldo Muffin Lamp, Calligaris Pom Pom lamp adds aesthetic to your space and makes it look appealing. While centrepieces make your living space look special, adding petals or other elements to the centrepiece makes them steal the show. They play a role in making the space look inviting and homely. Centrepiece collection includes Calligaris - Glenn, Lorraine, Margo, Donut and more. 10. 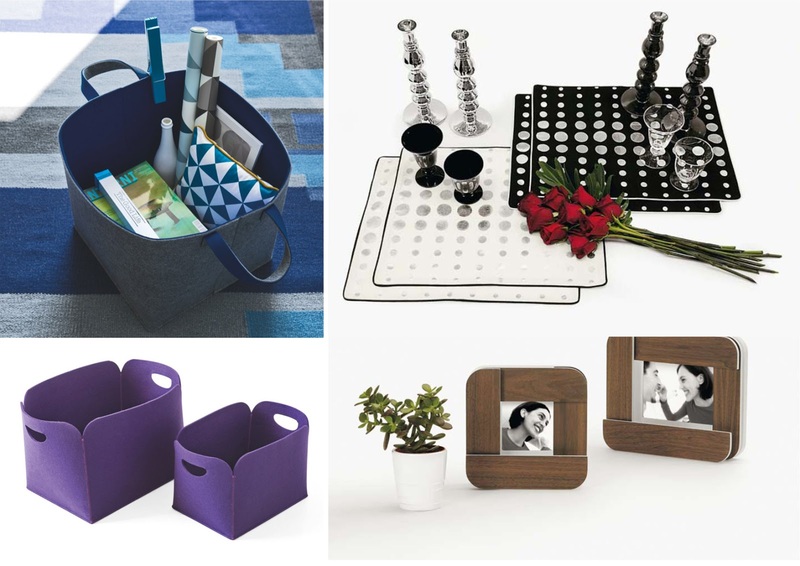 Accessories and gifts: Some of the side elements that could be used as a gift or to add personality to your space are Calligaris Quant photo frame, Calligaris Silver mat for dining table, Mario Cioni Spa Origami which you can use to put your spa solutions, Calligaris Elliot, Utility, Connor storage basket to keep magazines or coffee table books and vases to adorn your space with a fresh look. These are gifts that won’t just make your partner feel special but also last across the years and create memories.